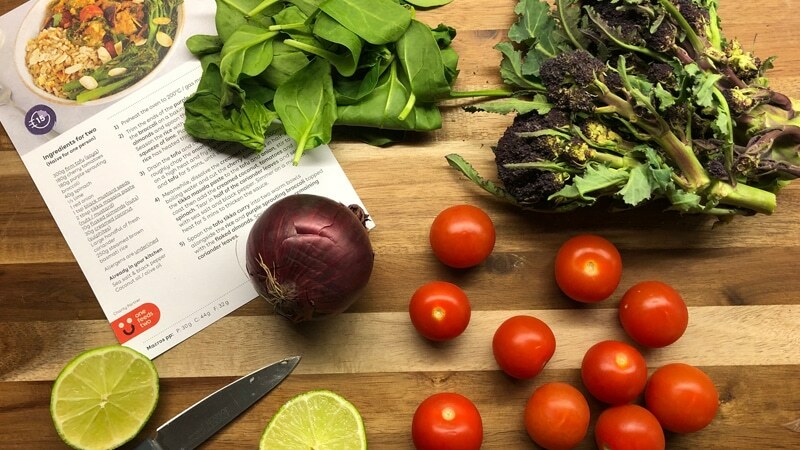 If you find cooking a challenge, recipe box services like from our B Corp friends Mindful Chef are a genuine game-changer. You pick the meal, they deliver the ingredients to your door and you follow the intuitive recipe card to create a healthy, nutritious meal that’s sure to score some serious brownie points on Valentine’s Day. Opt to cook at home rather than eating out this Valentine’s Day. Recipe box services like Mindful Chef are a great option for easy ‘wow’ meals. Not only that, you can feel great knowing that their ingredients are sourced from the most ethical suppliers out there AND that your Valentine’s meal will also result in a school meal being donated to a child in poverty. Use code ONEBRAND to get 10% off your first two Mindful Chef boxes. A great meal needs a great table setting, so buff up your cutlery, choose your best plates and use flowers and lots of warm light to dress your table. Our ‘Butterfly Glass’ range makes a great addition to any table setting and every bottle is made with 35% recycled glass. To wash down your meal, you’ll need some table water too. Our One Butterfly Bottles are the perfect addition to any beautiful table setting (and also double up as a great conversation starter!). Plus you can sit back and enjoy your dinner knowing that you’re also supporting clean water projects across the world too. After-dinner drinks? No problem. 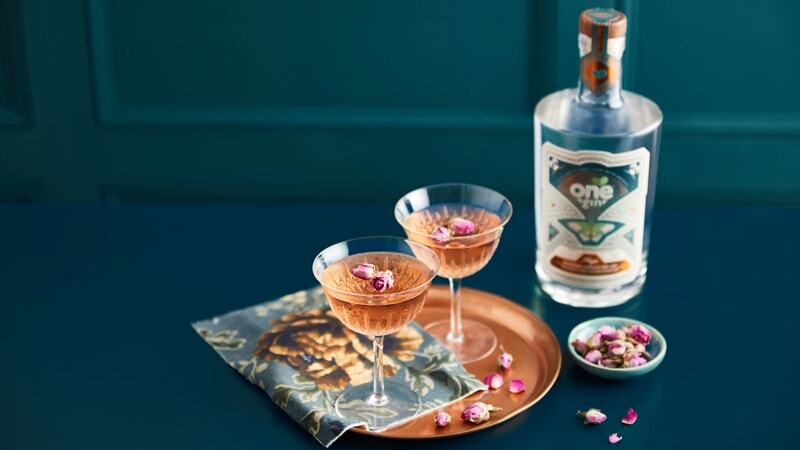 One Gin have released a very special Valentine’s Day gin cocktail recipe – the Rose Gimlet – just in time for the big day. 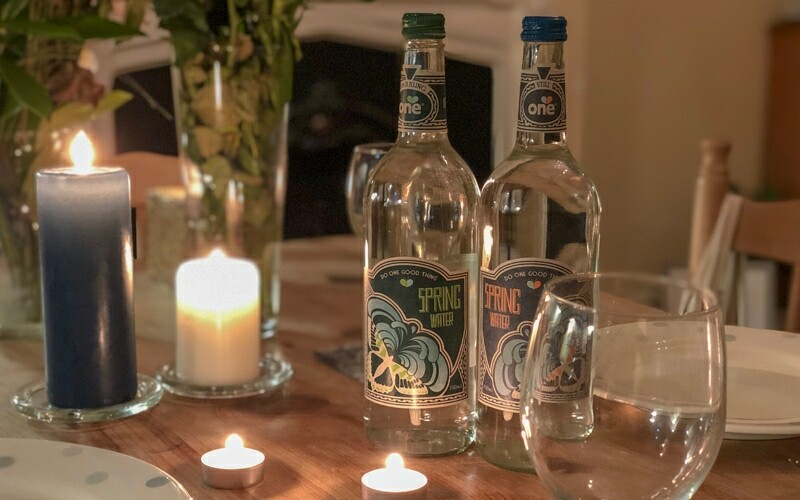 Like One Water, One ‘sage’ Gin also helps to fund clean water projects across the world – plus the embossed bottle is really impressive and bang on trend. Impress your date with ethical pink One gin cocktails before or after dinner. For a sweet treat, we rate another fellow B Corp Doisy and Dam for their ethically-sourced chocolate treats. They have plenty of dessert inspiration on their Instagram feed – so whether it’s straight from the bar, or used to whip up a delicious chocolate-based treat, they’ve got you covered (and all their dark chocolate is vegan too!). If you’re also looking for a timeless gift to present to your loved one over dinner, we recommend our Social Enterprise friends, James Lucy watches. As well as creating beautiful mix and match watch-faces and watch straps (perfect for making your own bespoke watch), they donate at least 50% of their profits to charity through their #Time4 campaign, which spans environmental, humanitarian and medical charities. 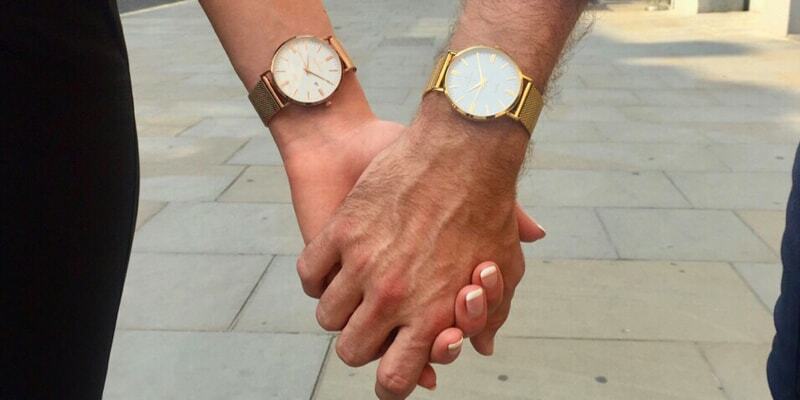 Use code VDAY20 to get 20% off a beautiful, bespoke James Lucy watch. James Lucy are a social enterprise – at least 50% of their profits go to charity.